FREDERICK, Md. (WUSA9) -- A woman is dead and a man is injured after a Frederick car crash Wednesday morning, Maryland State police said. The crash happened on westbound US-340 just past Rt 15 going in the direction of Leesburg, according to authorities. The 2001 Honda Civic went off the road and down an embankment into a wooded area. Police said the car was going eastbound but somehow ended up in the westbound lanes and off the road. The crash scene was 30 yards off the road and in a wooded area. Police identified the woman as Lauryn Ashlee Miller, 25. She was pronounced dead at the scene. The driver, Justin Thomas Rodgers, 29, was transported to the hospital. Authorities said the crash is still under investigation. FREDERICK, Md. (WUSA9) -- Police are investigating after a suspicious person was found inside of the Frederick High School taking pictures on Saturday afternoon. The person was found inside of the school around 1:50 p.m., Frederick police said. According to authorities, the suspicious man was found inside of the gym area of the school taking photographs of the school. The person did not have any reason to be on campus and was asked to leave by a staff member. The issue is being handled as a suspicious person case and the police would like to speak to the person about the events on Saturday. Police were able to get the school surveillance which shows the suspect inside of the school. FREDERICK, Md. 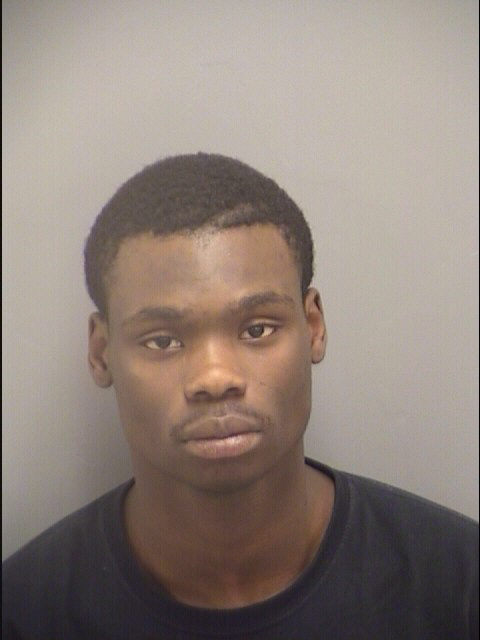 (WUSA9) -- The sentencing for one of the two men involved in a February shooting that happened outside of basketball game at Frederick High School was continued to next year. Twenty-year-old Chandler Davenport was expected to be sentenced Tuesday. The sentencing is now set for January 6. He pleaded guilty a few months ago for his role in the shooting. Davenport was charged with two counts of reckless endangerment. A judge accepted his plea under one condition: that he would testify against the alleged shooter, Brandon Tyler. Under that plea Davenport would likely only spend one year in jail. FREDERICK, Md. (WUSA9) -- Police are investigating after a juvenile male was stabbed to his upper body in Frederick Monday night. The victim was found around 9:42 p.m. in the area of Providence Court and Hill Street, Frederick police said. Authorities said the injury was serious but not life threatening and he was taken to the hospital for treatment. Police are searching for a vehicle that was seen leaving the area at the time of the incident. The vehicle is described as a light tan colored sedan, possibly a two-door Mazda. Detectives are still actively working this case and ask that anyone with information about this case please contact Det. Garcia at 301-600-1247. You can also leave anonymous tips at 301-600-TIPS (8477). FREDERICK, Md. (WUSA9) -- Four teenagers were arrested in connection with shooting and 17-year-old male Thursday evening, Frederick police said. MOUNT AIRY, Md. (AP) - Maryland State Police have charged a woman and her two sons with assaulting a trooper in a Mount Airy department store bathroom. Authorities say Trooper Johnathan Horner was investigating a road rage incident when 42-year-old Traci Conners attacked a bystander recording the incident. Police say when Horner tried to stop the attack, Traci Conners' son, 17-year-old Jacob Conners, attacked him, then ran into a store. Troopers say Horner found Jacob Conners in a restroom trying to flush brass knuckles and a knife down a toilet. As Horner restrained Jacob Conners. Traci Conners and her other son, 19-year-old Steven Conners, attacked the trooper, authorities say. Additional troopers arrived. Horner was taken to a local hospital. FREDERICK, Md. (WUSA9) -- An investigation is ongoing after five gunshots were heard in the Frederick area Sunday night, Frederick police said. The shots were heard in the area of Prospect Boulevard and Carrolton Drive around 7:07 p.m. Officers did not find any victims, additional witnesses or suspects.